Ever since Bhushan Kumar has urged people to make the world's biggest YouTube channel, fans, as well as Bollywood celebs, have left no stone unturned in lending their support to make Bharat number one. 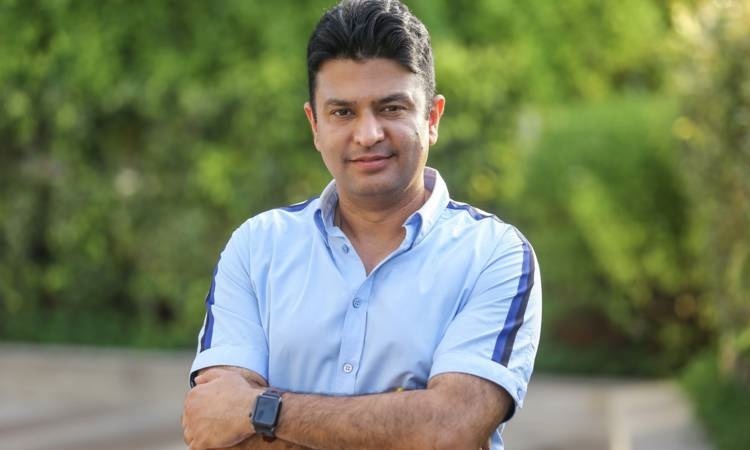 Appealing to create a historic moment Bhushan Kumar had earlier said, "There is an Indian YouTube channel on the brink of becoming World's No.1. It has taken us a lot of effort to come this far. To take my father Mr. Gulshan Kumar's dream forward, I started this channel. Today, it belongs to you, to the entire nation. It's a historic moment for all of us. So let's come together and subscribe to T-Series YouTube channel and make India proud." Kriti shares, "Hey guys, so T-Series is about to become the biggest YouTube channel in the world which is like huge. So, firstly Congrats, Bhushan sir and congrats T-Series for this amazing achievement. and secondly, all of you'll who haven't' subscribed it just do it now like now-now-now". Sonakshi Sinha shares, " So I have done lot's of work with T-series and some really amazing work and I'm so happy and proud that today T-series is on the brink of becoming the world's most followed YouTube channel I wish them all the best, congratulation in advance because I know it will happen very soon. Guys go and follow them and make sure that this happens let's make Bharat win". Rajkummar Rao also shares, "It's so exciting to know that @Tseries is on the brink of becoming the biggest YouTube channel in the world! Good luck @itsBhushanKumar Let's all subscribe to ensure and let's make India win. #BharatWinsYouTube". Aditya Roy Kapur shared, "It's so exciting to know that T Series is on the brink of becoming the biggest YouTube channel in the world! Congratulations Bhushan Kumar! Let's all subscribe to ensure #BharatWinsYouTube http://bit.ly/TSeriesYouTube". Neha Kakkar shared, "It's so exciting to know that @tseries.official, is on the brink of becoming the biggest YouTube channel in the world! Congratulations #BhushanKumar Sir! Let's all Subscribe to Ensure #BharatWinsYouTube ." Jazz B shared, "Let's make history people subscribe to http://bit.ly/TSeriesYouTube Chanel now to make history congratulations to the whole team in advance @itsBhushanKumar". Being the leading music company in the business, T-Series has carved a place for itself with films, songs as well as albums. Founded on March 13, 2006. It has 29 sub-channels, features songs, and film trailers. T-Series is associated with the music industry since the past three decades, having an exhaustive catalog of music across languages and genre. Vicky Kaushal's new picture will make you go GAGA over his smile! Mother Teresa biopic announced!